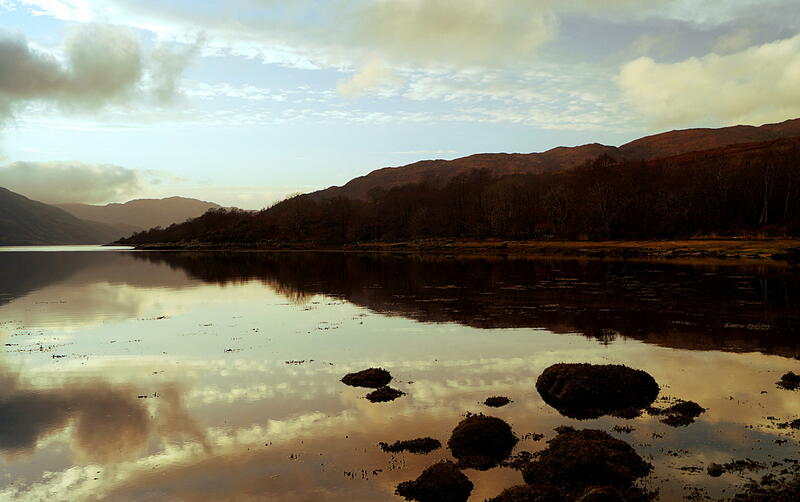 Beautiful reflection in Loch Sunnart, Strontian. Scotland. It’s my first time in Scotland (barr a 2 day trip to Edinburgh when I was a teenager). The scenary is spectacular. I have a polorising filter on my lens which accentuates the colours and relections in the loch. Posted in countryside, Loch, nature, photography, Scotland, sunset, travel, water, winterTagged beautiful, colour, golden hour, highlands and islands, loch sunnart, photography, reflections, scotland, strontian, views, water, winterBookmark the permalink.